So you’ve heard that Pinterest is a goldmine when it comes to bringing in traffic from your blog. And you’re not wrong, but are you going the right way about it? Pinterest can yield incredible results for your blog. In fact, it’s my #1 traffic source! And I’m obsessed with checking my own analytics to measure my growth. But the way to make Pinterest work for you is NOT to aimlessly pin whatever floats your boat… There’s actually much more to it than meets the eye. There needs to be a strategy in place. You need to be strategic about what you pin, when you pin, and where you pin it. When there is a plan and a method to the madness, you’re no longer wasting time trying out different things hoping that they’ll work for you. Pinterest Analytics might seem a bit scary at first, especially if you don’t know how to read and understand them. There are charts, numbers, vocabulary, and many things you think you don’t understand, but it’s actually pretty simple once you dive into it. Pinterest Analytics takes a deeper look into who is looking at your account, what pins are being clicked on and viewed the most, which boards are the most popular and much more. If you’re wondering how you can actually access the Pinterest Analytics dashboard, you’ll need a Pinterest for Business Account first. If you don’t have a Pinterest Business account, you seriously need one! There are quite a few new perks you’ll get when you make the switch compared to your old personal account. You get access to Analytics (duh), but you also get access to Rich Pins, Promoted Pins, and more! In order to get a Pinterest Business account, you can head over to business.pinterest.com and sign up for a new account or convert your existing one. Here’s where you’ll be able to find it in your account afterward. Rich Pins are pins that provide additional information about a pin than usual. So blog posts would show a snippet of the article. Rich Pins are great because people are more inclined to click on a pin when they can see more information about before they head over to the website. Promoted Pins are basically Pinterest ads. They are pins you promote on your account so that they show in the Smart Feed to users. Both of these features are only available to Pinterest for Business accounts and that’s why it’s so important for bloggers to have access to these two perks! Now let’s break down your Analytics dashboard so you know exactly what each section means and how you can use it to your advantage. When you first click on Analytics, you’ll see an overview of your account which will show a snippet of your Pinterest profile impressions, the people you reach, and the activity to your website in the last week. Then, you’ll be able to go more in depth about each section of your Analytics. The next section of the Analytics dashboard is the section that shows you all about your profile. On this screen, you will see your profile’s impressions, how many saves your profile gets, how many clicks, and your all-time most saved pins. This tells me that I should be promoting these pins the most and creating more Pinterest graphics to share them. It also shows me that I should be creating more content similar to these topics because this is what my audience is interested in the most! It helps me see that my readers want more Pinterest tips, productivity tips, email list tips, and tips on how to make money blogging. This screen helps me narrow down the topics that perform the best on my blog. Next up, is the People You Reach section! This section is something you may have seen before on yours and other people’s profiles. It is all about the monthly viewers. This screen shows you your average monthly viewers and average monthly engaged. Your average monthly viewers is the average of how many people view your pins each month. Your average monthly engaged shows on average how many people engage with your pins each month. While it’s a nice metric to look at, I don’t believe this number is all that important. That’s because, in reality, that number of monthly viewers does not translate to how many people are clicking through to your blog. It does not equal traffic! You could have 2 million monthly viewers, but if they are not clicking through to your website, converting to email subscribers, or making sales, it means nothing. I feel like yes, this number is fun to watch go up, but I would not focus all my attention on this. What I would focus my attention on? Your website section of your Pinterest Analytics. The Website section of Pinterest Analytics helps you see activity directly to your website. It shows website impressions, saves, clicks, original pins, and all-time. It also shows analytics from the Save button if you have one installed on your website. This part of your Pinterest Analytics is so important because it shows you what’s working and what isn’t working to increase your blog traffic. It shows you if people are clicking on your lead magnets and freebies which can convert to subscribers and even someday… paying customers! Pinterest has recently released a new section to their Analytics Dashboard called Audience Insights. This is such an exciting new addition because it allows you to get a more in-depth view of your audience. The insights let you see what your current audience is interested in and how it compares to the rest of Pinterest. It gives you more details like age, gender, what device they’re using, and much more. This could be pretty helpful for you when you’re considering what type of content you want to focus on because you know what your audience is interested in the most. If you want even more powerful Pinterest analytics data and growth, Tailwind is the #1 tool to help make that happen. My Pinterest strategy really leveled up when I started using Tailwind. I signed up for the subscription right around the time that Boardbooster shut down not too long ago. The added analytics Tailwind provides are much more detailed and allow you to really get to know who is pinning your content. It also helps you measure your follower growth — something that Pinterest Analytics lacks! Before diving into Tailwind Analytics, let’s chat a bit more about what Tailwind even is. 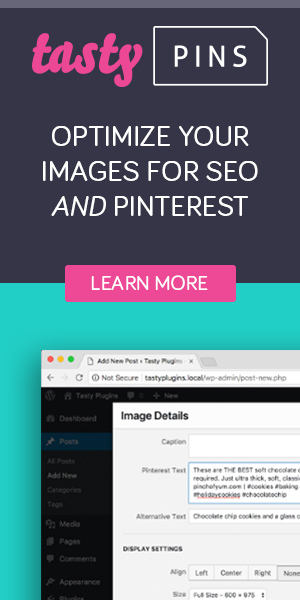 Tailwind is a Pinterest automation tool that schedules out your pins for you. If you’ve been on Pinterest for a while, you might have noticed that the more you pin (and with a strategy), the more your traffic grows. What Tailwind does is take care of the pinning for you because there’s no possible way you can be on Pinterest all day every day! Tailwind analyzes your account and selects timeslots that have the most engagement for your pins and your profile. Then, it handles all the pinning at those times. It’s such a game changer because it basically puts your account on autopilot and also gives you access to Tailwind Tribes (it’s own version of Pinterest group boards.) Snag an invite to my Tailwind tribe here! Now let’s get into the Analytics! The first thing you’ll see in your insights when using Tailwind. Profile Performance is AMAZING because you get to see a chart of your follower growth — something you can’t measure with Pinterest Analytics. You are also able to see how many followers you are earning per day. Tailwind gives your access to a metric called Virality Score. Virality Score measures how much your pins are being repinned across your profile and is measured with a specific formula. Then, you’ll also have access to an Engagement Score and an Engagement Rate — which both help you measure how much your audience is engaging with your pins. Next up, you will also see Board Insights. Board Insights break down the followers, repins, comments, Virality Score, and Engagement Scores of your secret boards, group boards, and regular boards. If you’re part of tons of group boards (like me! ), then you know it’s very difficult to monitor ALL of them. It’s almost impossible to do and that’s why Board Insights with Tailwind is amazing. I believe in order to use group boards effectively, you constantly need to be checking engagement rates and whether or not they are working for you and your blog. The best way to monitor your group boards is with Board Insights because you’re able to see all the details directly from your Dashboard and you can decide whether or not to stay in a board. If a board has like 0 engagement for you, it’s safe to say you can leave that board! The Pin Inspector also helps you build on your success by giving your recommendations for similar content your audience might like. I love using the Pin Inspector to find similar pins to fill my Tailwind queue with. I usually pin 30% my own content and 70% others’ content and it’s so helpful finding that other 70% with the Pin Inspector! Another thing I use the Pin Inspector for is to directly schedule my own pins into my Tailwind queue. Website Insights monitor your domain and show you the volume of pins coming from your website domain. It also shows you potential impressions and pinners coming from your website. This is a great tool to check the flow of traffic from Pinterest to your blog, BUT it’s not meant to replace your website’s analytics (Google Analytics). It is a great method to see more details about it, but you should always refer to Google Analytics for the most accurate information. Organic Activity is another section of the Tailwind Analytics Dashboard that has some great information that will help you see what your readers want from you. It shows you the latest pins directly from your domain and it also gives you access to a Word Cloud. The Word Cloud is basically a cloud of words that were used online that bring people to your website. The biggest words have been used the most, meanwhile, the smallest words have been used the least. The Word Cloud is great if you’re curious to know what people are interested in most on your blog. However, it’s not a tool I use very often! Last but not least is referral traffic! Referral traffic shows you how many visits, visitors, page views, and revenue you’re getting within a certain time period. Tailwind even sets it up in a graph for you to be able to visually see the growth. All in all, you definitely need a Pinterest for Business account. And you definitely need access to Pinterest Analytics in order to grow your blog! If you are not using the Analytics Dashboard, you need to get on it because it is one of the most powerful, free resources you can use to analyze the data from your blog and use it to your advantage. Use it to discover what is getting clicked the most, what is bringing in traffic, what boards are most effective, and how many people are seeing your content every month. And if you’re ready to skyrocket your traffic even more and get access to even more analytics, I seriously recommend trying out Tailwind. I can honestly say that my traffic and email list wouldn’t be where it is today without it. It has grown my entire account more than I could ever imagine. You can grow your account without it. But if you want to see quicker growth and conversions, you’ll want to give Tailwind a shot. There’s nothing to lose because you can grab your first month free using this link. Do you use Pinterest Analytics to help you grow your blog?